“Embrace all and negate nothing is the principle of Tantra” The whole existence is a cosmic play of the Divine, and nothing can be negated or left out. The physical body is as real as the world and as divine as the existence. The primary practices in Tantra involve the physical body much more than any of the spiritual practices. Tantra embraces all, and this is the exactly the reason that why it is the path for the Modern man. It completely bewilders most seekers when I say this. Restraining the senses, it seems not only difficult but just impossible. Living in a fast moving with so many engagements, it is not even considered feasible. The senses are the ones that connect us to the outer world and help us to function efficiently. So to restrain the senses, seems us to take nowhere. This is what an amateur can understand on the first go, and this is also exactly the reason that many people fear to take up Spiritual practices. Spiritual practices are meant to know our real inner self, to meet our ultimate goal, to merge with the Pure Consciousness. We have read and heard a lot about the blissful experiences of people who have merged with the Pure Consciousness, it seems so exhilarating and encompassing. But our mind interferes and says “Is it worth to stop experiencing the beautiful world around us” Many Modern Gurus read the mind and have changed spiritual practices into manifestation rites. Someone is trying to manifest better DNA’s or correcting present life by visiting the previous lives. There are so many rites offered that a serious spiritual seeker keeps on attending one workshop to other, just in search for the completeness that the his/her soul yearns for. Many times people come to us and proudly state the number of spiritual workshops they have attended. I just ask them “Did you get what you looked for?” Many a times they have even forgotten what were they looking out for. Spiritual practices are not relaxation techniques or manifestation rituals, you are just beating around the bush if your practices are not taking you near your ultimate goal. Tantric rituals while embracing your being totally, with your strengths and weakness, with your desires and goals, does not let you go away from the Pure Consciousness even for a moment. Each and every step prepares you for divine merger. Tattva Shakti Vigyaan which connects you first to the substance of the universe- The Panchtattva (The five elements) The five elements are connected to your Five Tanmatras (Subtle medium of sensations), Five Karmendriyas (organs of action), five Jnanendriya (sense organs). The cleansing and balancing of Panchtattva cleanses the related tattvas too- Tanmatras, Karmendriya and Jnanendriya. It does not ask you to restrain but live completely with balanced and blissful being. As the related tattvas are cleansed, the inward movement of energies becomes habitual and automatic. 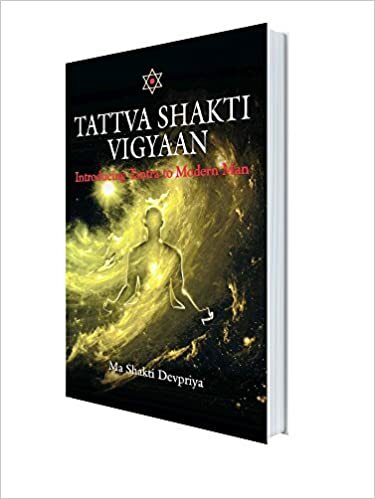 Tattva Shakt Vigyaan is the Tantra for Modern Man.